We roast a 100 pound pig annually. 2019 will be our 27th consecutive year. Charcoal cooking requires more prep time; but the payback is there. Mostly I use a large big green egg, but whole animals go in the caja china. I'm a certified Kansas City Barbecue Society judge. Our kitchen has a plumbed Synesso 1 group. Princeton enjoys a fabulous coffee shop, Rojo's Roastery. I'm looking for suggestions on a good latte art class. I enjoy a variety of strategy games. In my youth, I played chess a lot. Eventually, I became a Master. I no longer play competitively, but I still love the game and follow top level play. 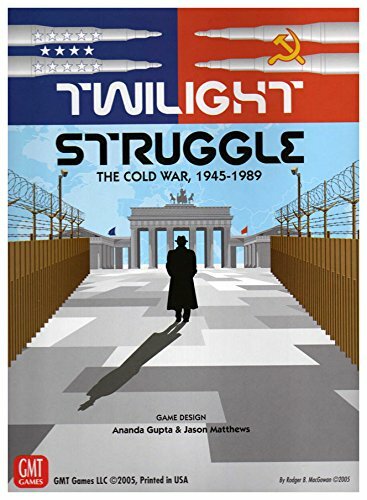 Twilight Struggle is one current favorite. This Cold War game lends itself to online play with discrete, alternating, non-interactive moves.